I thought I would do myself a favour and unpack the figures that I figured would travel best – the modern ships. These are all on magnetic bases in a metal tin and I figured that the bubble wrap would help to stop them moving around. Now I should mention that I was not expecting anything great as I was present when the guys taping up the Balikbayan boxes taped first the top, then inverted the boxes to tape the bottom. Opening the Balikbayan boxes and taking out the boxes of figures was not too trying a task as the boxes they were packed in had not collapsed at all (and remember, each of the 7 Balikbayan boxes had about 50kgs of stuff in them … books, clothes, shoes, electronic stuff and so on. 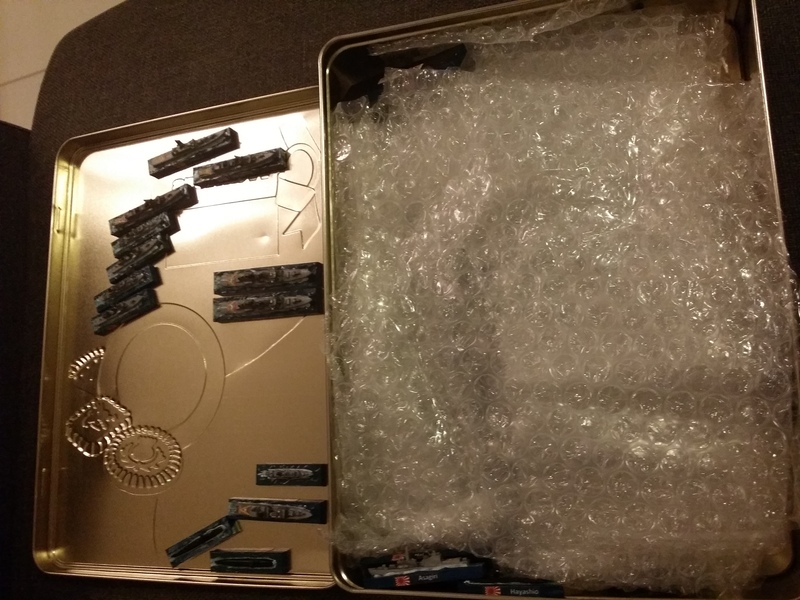 I lifted the lid and things looked pretty much OK. the bubble wrap had kind of scrunched up a little bit and there were a couple of ships on their side down below but overall, it didn’t look too bad. I removed the bubble wrap. Yep, things had moved around a bit inside and I could see a little damage to the two aircraft but still, overall, everything looked pretty good. 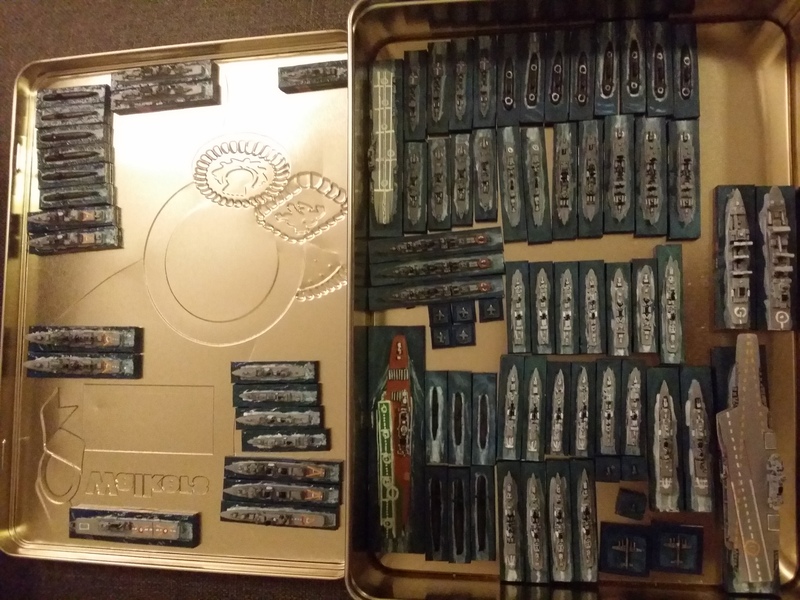 I sorted the vessels out and reorganised the fleets in the box. They are looking fine and ready for action (and I must admit, having not seen these for a couple of months, I do like the new style of basing I did on the Japanese). The only damage that I could see was to the aircraft. Mind you, the thing that has me amazed with the aircraft is that one of them has ended up with a lot more dihedral than it stared with. It must have been stretched over a vessel somewhere. 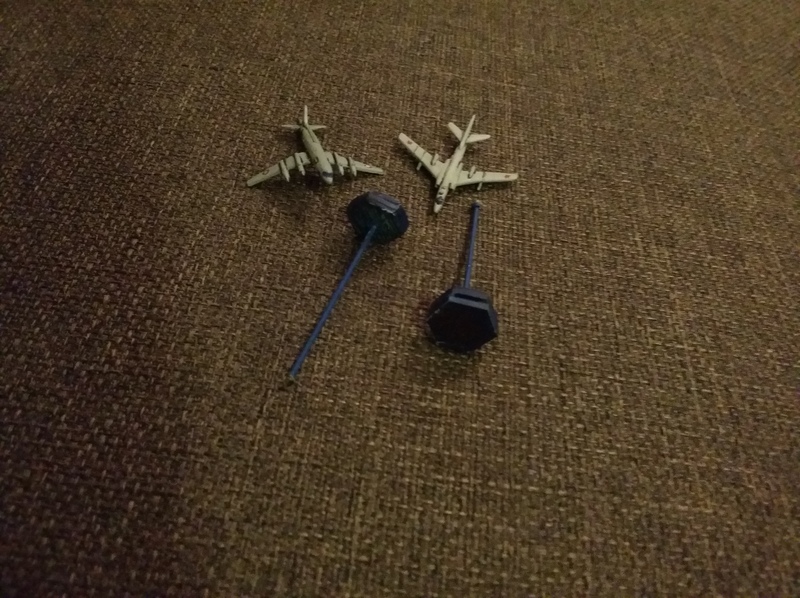 So, tonight, it’s out with the super glue (now where did I put that), straighten the wing dihedral and re-glue them to their poles. Next box tomorrow (or maybe Monday of I go Karaoke tonight)! I haven’t checked back here for a little while, but I see you’ve moved to the Philippines! Is that a permanent move, or are you still primarily based out of Singapore? Yeah, moved to Manila in August on a long-term contract – currently set for 2 to 2.5 years but hope I can swing it for a few yours more. We both like Manila. Work is interesting, the folks here are friendly and easy to understand and, most importantly, there are a lot of wargamers and beer is cheap! There are two wargame clubs that have made contact so far, one within walking distance of the apartment we are staying at. With regards to the figures, I haven’t checked the other boxes yet but I saw the way the boxes were handled when they were picked up so I have purchased a dozen tubes of Superglue to use as I open them. 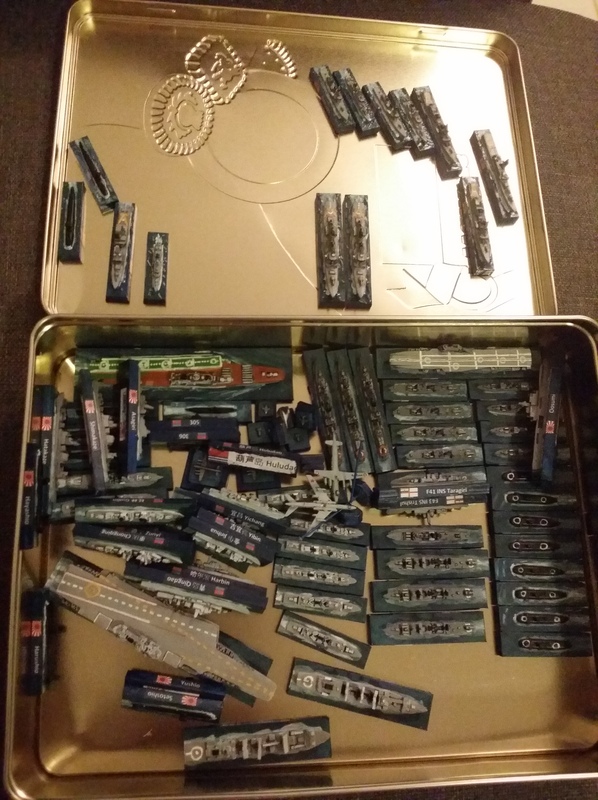 The ships were the first box opened and I suspected that they would have the least damage as they are fairly solid units. Stay tuned for more damage reports over the coming weeks.